Filed under gadgets on July 06, 2013. A couple of weeks ago, my wife made an offer to purchase a Sonos Play:3 for me for Father’s Day. I’ve been eyeing and researching the streaming music device for months and I believe she knew I was intent on trying one, so why not make it a gift. Good call! 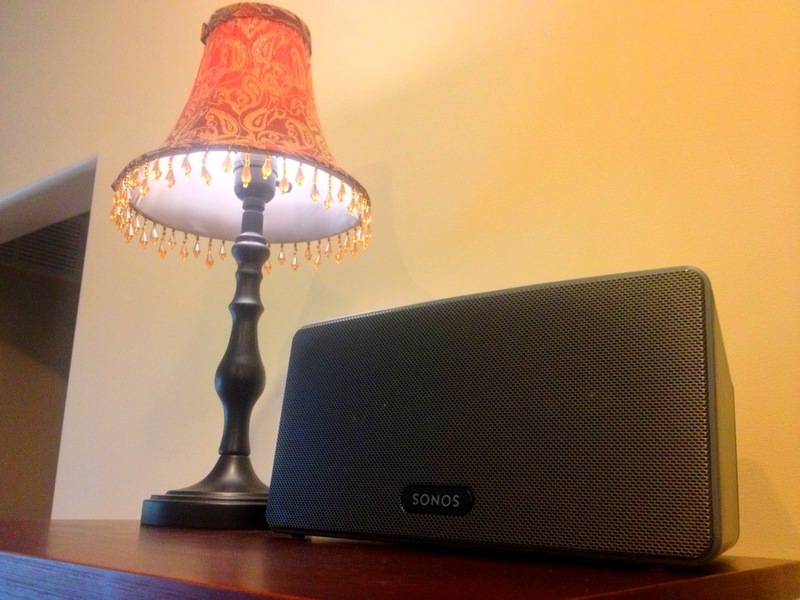 At the time, Sonos was offering the Play:3 with a Sonos Bridge (a $50 savings). She found the best deal on Amazon. It is now a wonderful addition to our living room (a location that will actually spread sound throughout our entire first floor). After a couple of weeks, It was time for a Bullet Review. 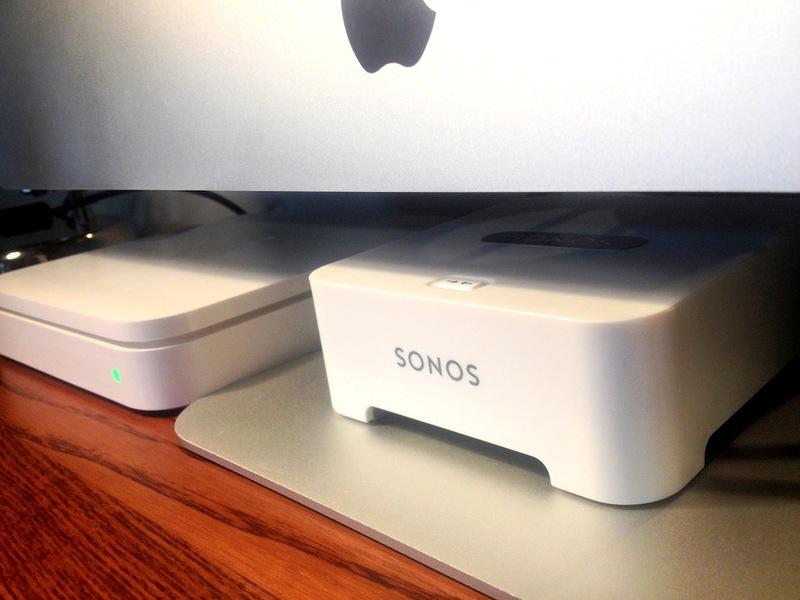 Sonos apps for iOS and OS X allow control from any point in home when on same network. If my wife finds the Sonos compelling, it must be good. Right? She’s really good with tech, but she was a bit hesitant about this purchase. I came home from work one day and she surprised me by saying that “the Sonos kept me motivated during work today…and it was fun!” Probably not a better endorsement than that one. I can’t wait until we save up and can afford another component such as the larger Play:5, sound bar or the subwoofer. If you have a Sonos or if you simply have a question or comment, drop it in the comments area below.